When you want to expand your business to the international territories, it is important to partner with a right shipping company. You can certainly find many options, but you have to select what works perfectly for you. In many cases, you cannot go wrong with air shipping. Many people believe that ocean freight is also a reasonably good option, but you have to consider certain factors to select the most suitable option. It is important to mention that even if you have selected a option that looks right at the moment, you should always be ready and willing to change it as your business dynamics change. Many external factors such as international regulations, seasonality, and market demand may also push you to switch carriers. Therefore, you should proceed with an open mind and continue exploring the available option to select what works great for you. In case you are currently confused between air and ocean shipping, here are a few things that will help you to move in the right direction. Whenever you find yourself confused between different shipping options, you should put your money on the most reliable option. When it comes to reliability, you have to consider the whole sector as well as the individual company you are going to select. If you cannot differentiate between the two types of reliability, you will eventually find yourself in trouble. Understand that your business will grow if you will be able to work with products, people, services providers, and businesses that are reliable. In terms of reliability, you can always trust air shipping. It is true that weather and many other factors play a role, but you will still find airlines trying their best to follow their schedules. Ocean liners cannot compete with that, especially considering the fact that they have already acquired a bad reputation in terms of reliability. Consistent delays are common, especially when you do not pay attention to selecting an experienced shipping company. If you are concerned about meeting deadlines, you will certainly be much better off sticking with air shipping. When choosing between air and ocean liners, you also need to consider your budget constraints. It is true that you ocean liners cost a lot less than what you usually need to pay for air shipping. It means that if you cannot afford to spend more money, you can certainly stick to ocean shipping unless of course you attach more importance to timely deliveries. When it comes to meeting tight deadlines, you should be willing to spend more to use air shipping. Ultimately, your business depends on how happy your customer is, and they are not going to be very happy when they do not get their shipments on time. The fact of the matter is that your business will suffer if you fail to select a right shipping partner. 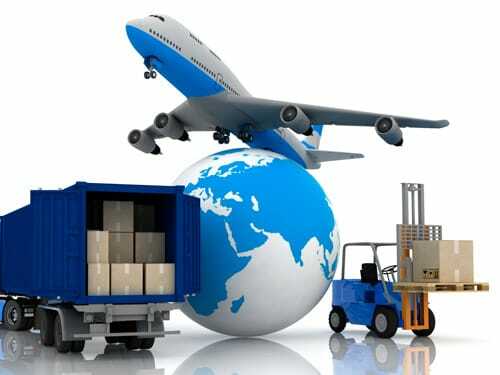 Several shipping companies are there to help, but you should consider your unique circumstances and the nature of your business to make a right choice.